Philip Damashek was appointed the Department of Transportation's General Counsel on February 11, 2002. The General Counsel is responsible for the Division of Legal Affairs which includes the Office of the General Counsel, the Office of Litigation Services and Records Management, the Office of Franchises, Concessions and Consents, the Office of Environmental Compliance Assessment and the Coordinated Street Furniture Franchise Unit. The Office of the General Counsel serves as the "in-house" law firm for the Department. Its work covers a broad spectrum, including drafting Requests for Proposal and contracts, dispute resolution, litigation, drafting and promulgation of rules and regulations, drafting of legislation, and general legal research and client counseling. The Office of Litigation Support and Records Management is responsible for supporting the Corporation Counsel's office and the Comptroller's Bureau of Law and Adjustment in defense of scores of notices of claim and law suits filed annually against the City which relate to DOT's jurisdiction. The unit also coordinates the records management and Freedom of Information Law functions for the agency. The Office of Franchises, Concessions and Consents grants permission to applicants to occupy or use space on, over or under the City streets and sidewalks and administers the collection fees for these uses. The Office of Environmental Compliance Assessment works with the operating divisions of DOT to achieve consistent compliance with a wide range of Federal, State and Local environmental laws and regulations by assessing facilities and operations and conducting training. The Coordinated Street Furniture Franchise Unit is responsible for oversight and administration of the City's 20 year Street Furniture Franchise with Cemusa, Inc. The Franchise includes the installation of new bus shelters, newsstands, Automatic Public Toilets and Bicycle Shelters throughout the City. Mr. Damashek previously served as General Counsel/Deputy Commissioner for Legal Services for the Department of Citywide Administrative Services (DCAS) from 1998 to 2002, and as Executive Deputy General Counsel from 1996 to 1998. 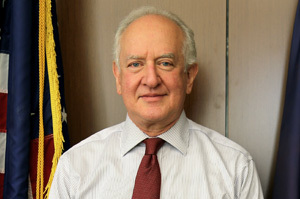 From 1987 to 1996, Mr. Damashek was Deputy General Counsel for the Division of Real Estate Services in the Department of General Services, which later was merged into DCAS. Prior to his City service, he was in private practice from 1981 to 1987. In the 1970's, he held several positions with Community Action of Legal Services, the federally funded civil legal services poverty program for New York City. Mr. Damashek received his B.A. from New York University and received his law degree from the Columbia University School of Law. He has served as chair of the Committee on Government Counsel of the New York County Lawyers' Association.